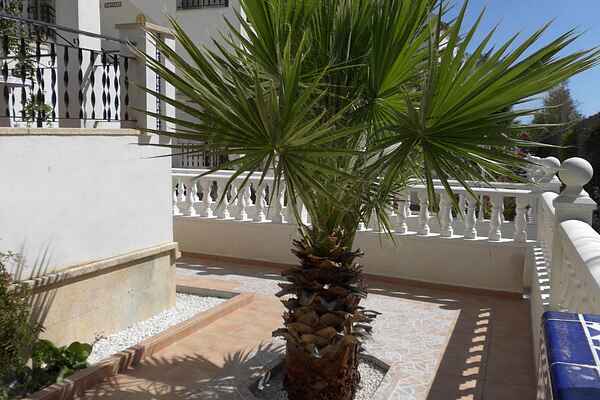 This bottom apartment in a maisonette is located within walking distance from popular Villamartin Plaza. Zenia Boulevard and the Torrevieja beaches are a 7-minute drive. Though you are within easy reach of lots of activity here, you also have peace and quiet in and around the accommodation. The interior boasts a fresh modern design and the accommodation is an ideal escape from the northern cold in winter. The garden faces south, so you can enjoy the sun all day long. The swimming pool is 25 metres from the residence. Want to explore the surrounding area? Then head to Elche, Murcia, Cartagena and Alicante for a daytrip. There is also a selection of golf courses in the area.